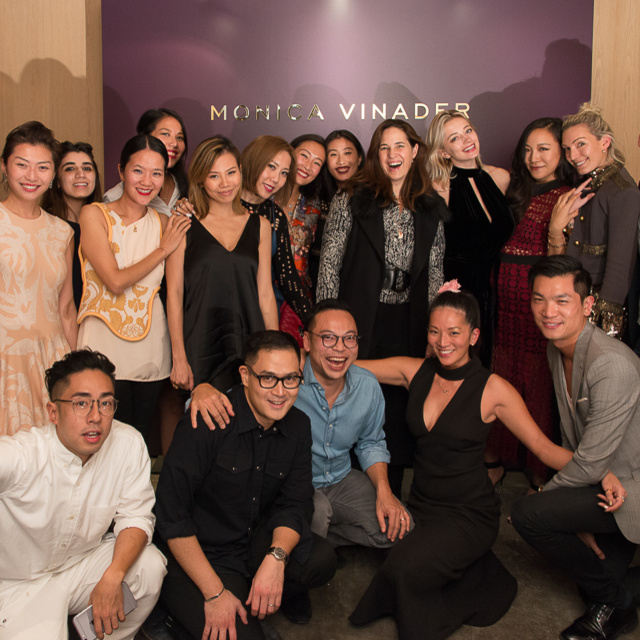 Celebrating One Year in Hong Kong! 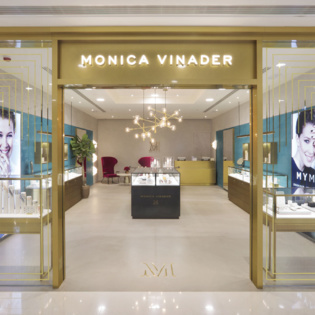 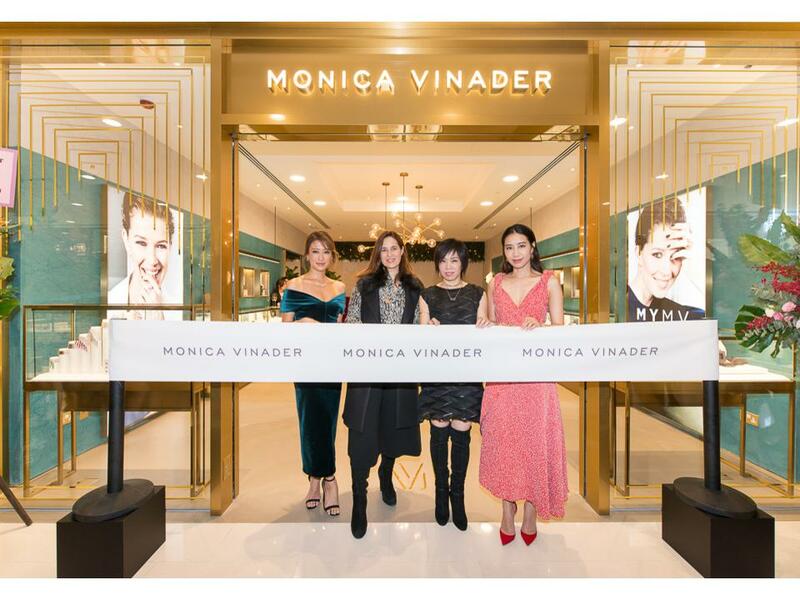 It was a year ago that we opened our first store in Hong Kong and we celebrated with two new boutique openings, one in Harbour City and one in SOGO along with a visit from Monica to the region! 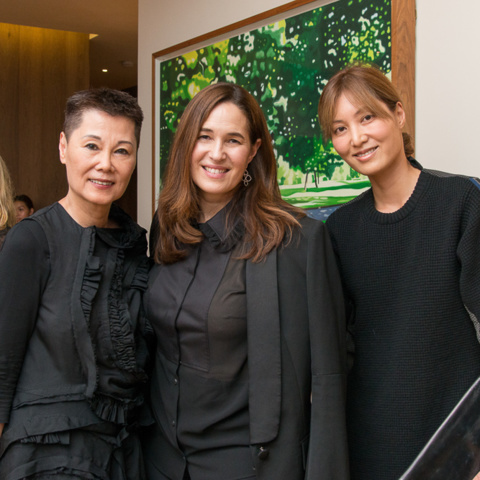 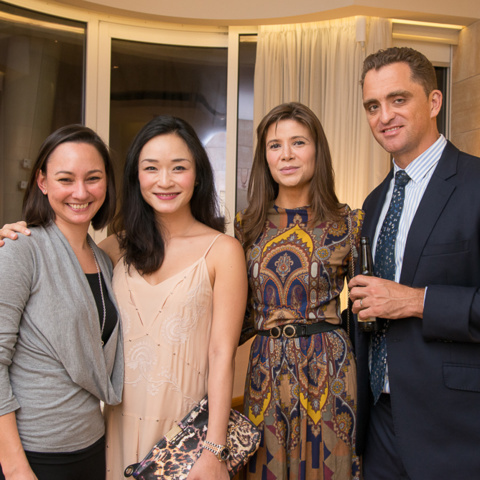 Upon arriving in Hong Kong, Monica hosted a cocktail party with the British Consul General to Hong Kong and Macau, Caroline Wilson at her residence on Victoria Peak. 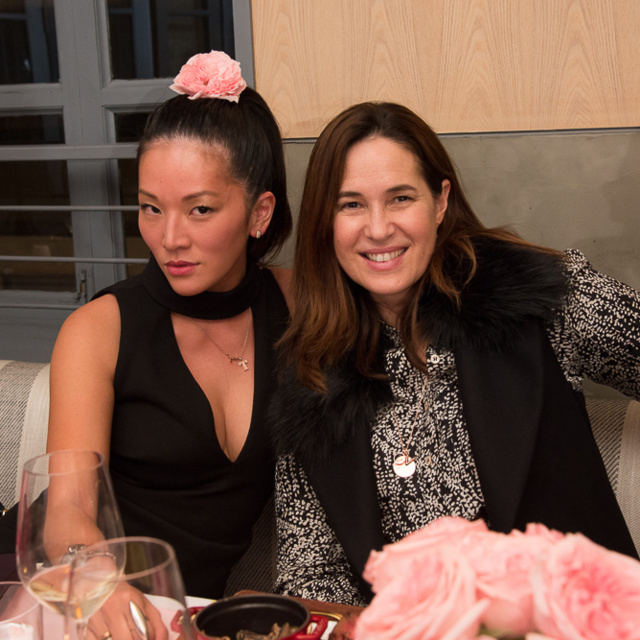 Guests included Fiona Kotur Marin, co-founder of Tory Burch, Winnie Chiu, president of hotel group Dorsett Hospitality International, fashion designer Rebecca McGeoch, actress Valerie Chow, blogger Cindy Ko, founder of Faith in Love Foundation Gigi Chao, stylist Olivia Buckingham and Kimberly Hu of Tatler magazine in Hong Kong. 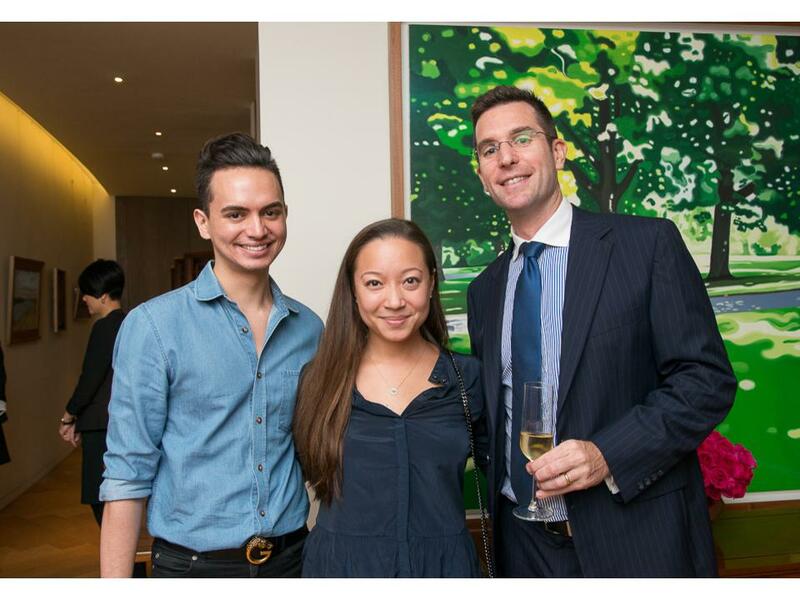 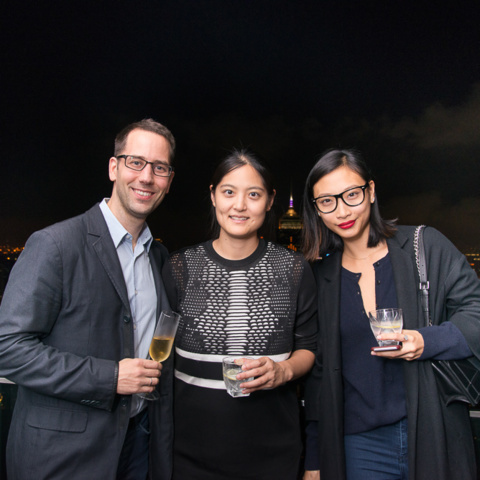 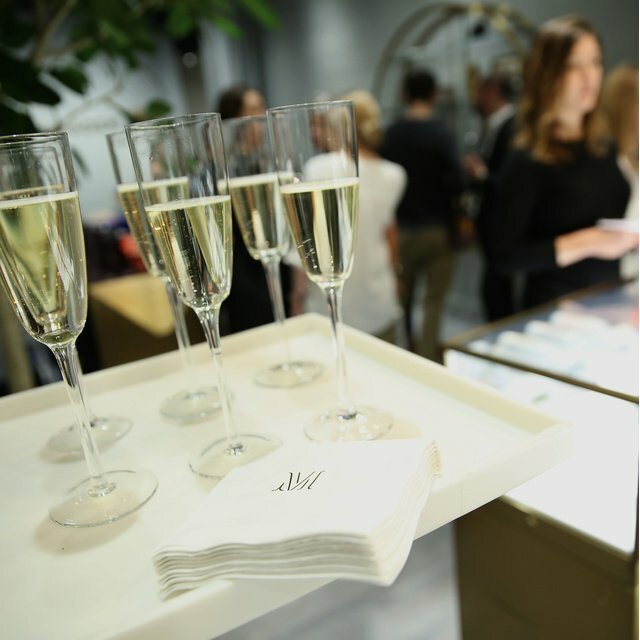 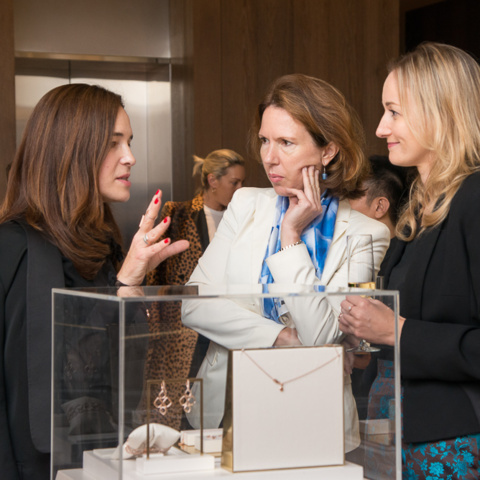 Whilst they enjoyed elegant canapes, English sparkling wine and stunning views over the city, guests were also invited to browse the iconic collections from Monica Vinader. 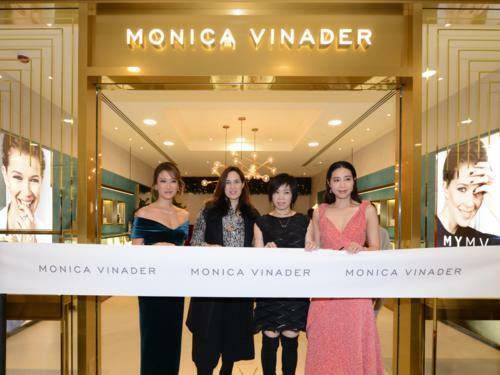 Monica's next stop was our new store at Harbour City Kowloon to host the ribbon-cutting ceremony. 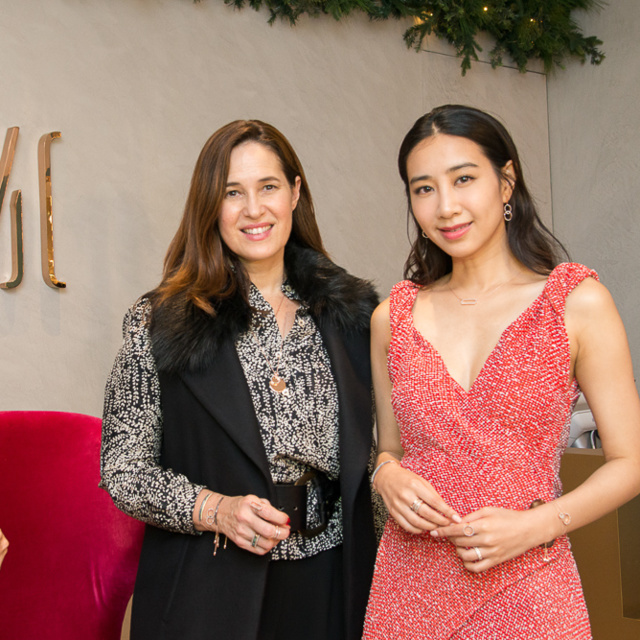 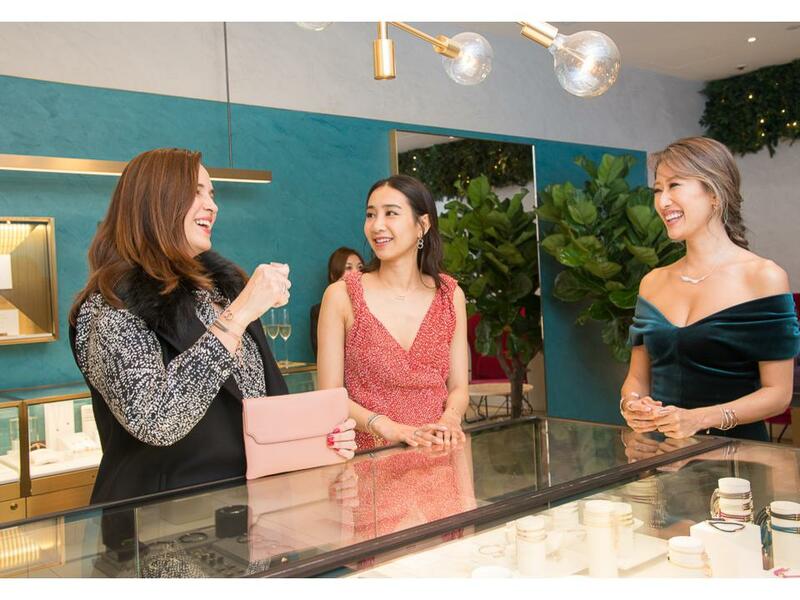 Joined by model Jennifer Tse, singer Kary Ng and Canis Lee, the General Manager of Harbour City, Monica cut the ribbon, officially opening the boutique. 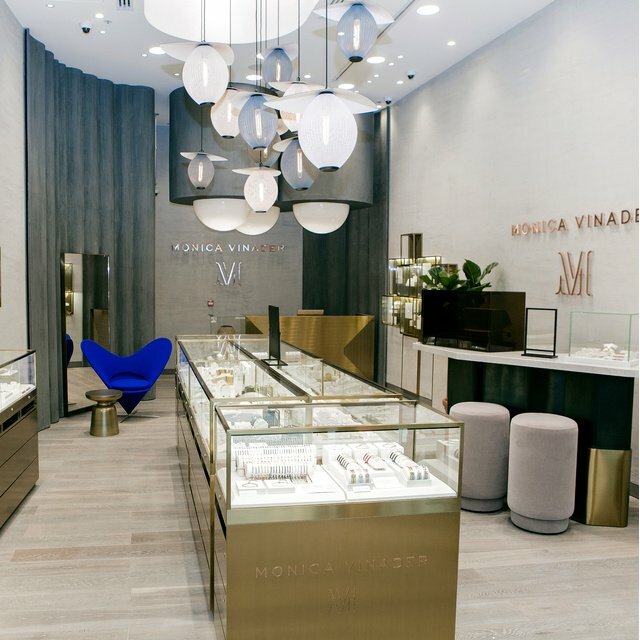 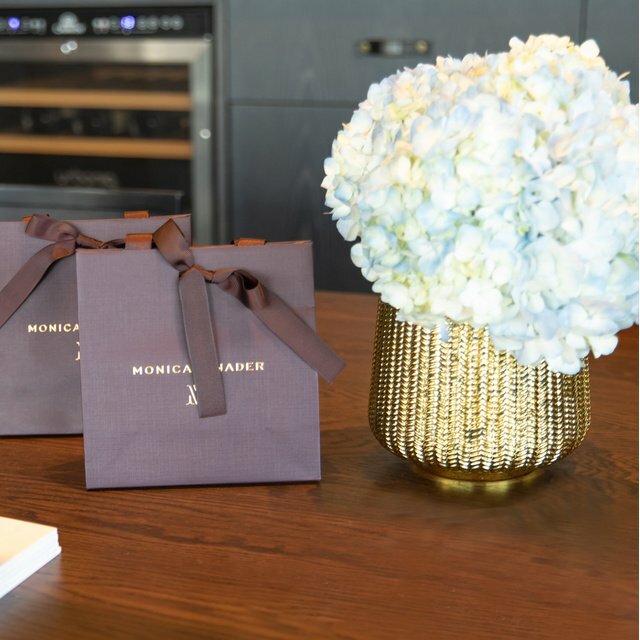 Jennifer and Kary were treated to a store tour and shown the latest collections by Monica herself. 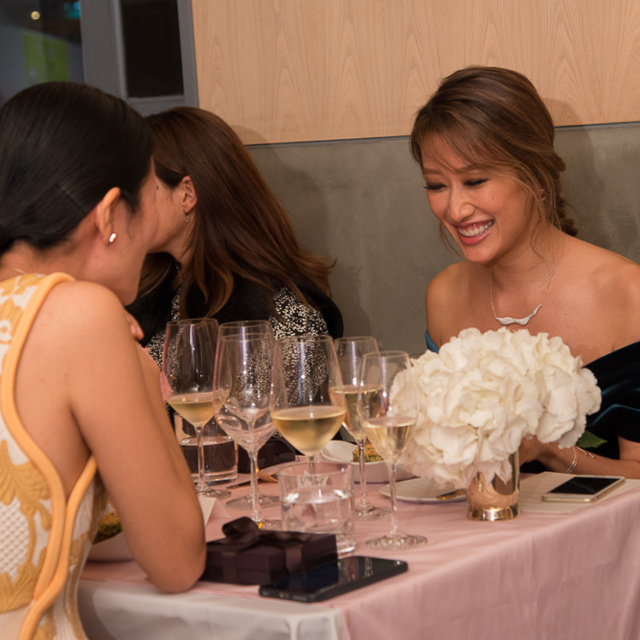 The finale for Monica's visit was an intimate dinner at one of Hong Kong's most iconic landmarks, a historical site dating back to 1888; The Pawn restaurant. 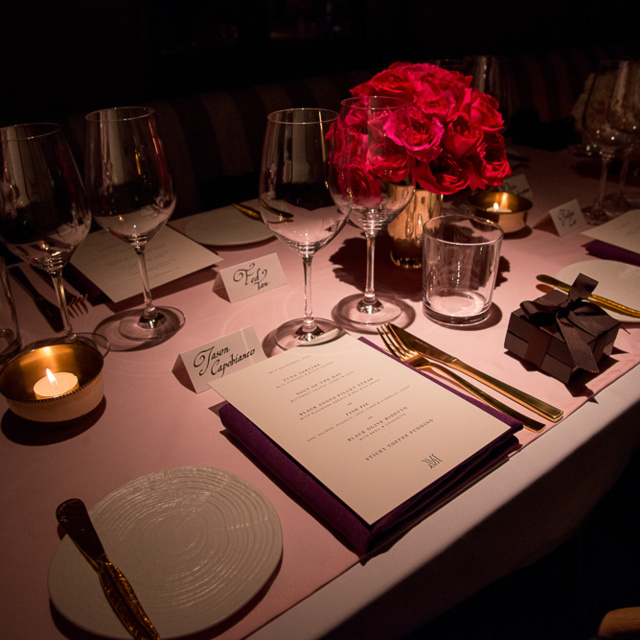 Guests including model Jennifer Tse, bloggers Tina Leung, Fei Ping Chang and Faye Tsui, stylists Grace Lam and Olivia Buckingham and singer Caroline Vreeland enjoyed a four course dinner created by celebrated British Head Chef Tom Aikens. 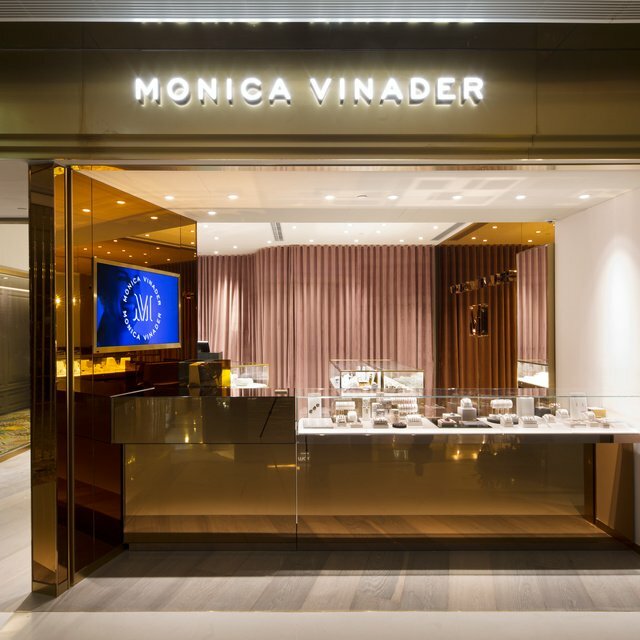 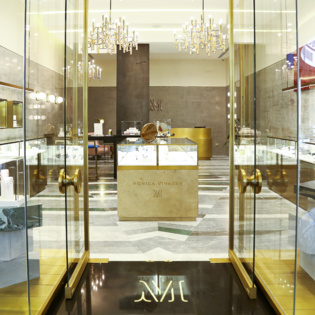 Discover our new stores in Hong Kong.